Algajola is a small but popular resort in the summer especially with French and Italian tourists. It has a 16th century fort on the seafront and a long sandy beach. 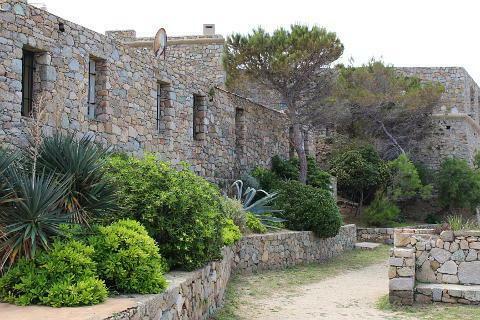 It is 15km from the large resort of Calvi and 7km from l'ile Rousse. 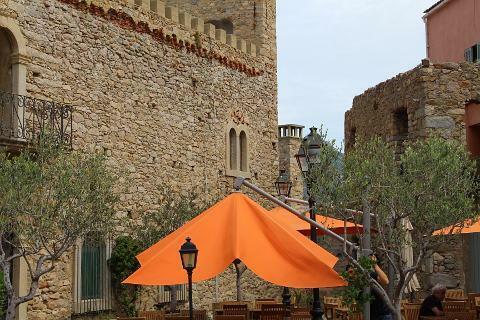 Algajola is small with its older buildings clustered around its 16th century castle. Next to this is a citadel built in the same stone and with a protruding circular watch tower. 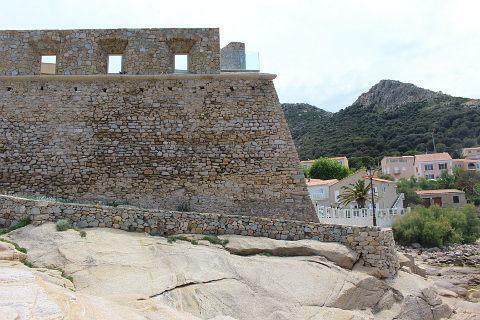 These have been beautifully renovated and this area with its historic buildings right on the sea front is a key part of Algajola's attraction. Behind the citadel the old streets house various bars and restaurants and make for a pleasant stroll. Beyond the citadel the rocky coast extends and various hotels have been built on the small bay and then further along the bay opens up to a large sandy beach which is a magnet for tourists in the summer. The beach is 1.5km long and has sections surveilled by lifeguards in the summer. This beach, Aregno beach, is sandy with some pebbly bits and the sea is that lovely mix of blues and turqoise that makes many of Corsica's beaches so pretty. You can try out various water activities from the beach including wind-surfing and snorkling. The far end of the beach, away from the village seems to be 'nudist-friendly'. The area is also popular with cyclists both for road bikes and mountain bikes. Bikes can be hired locally. 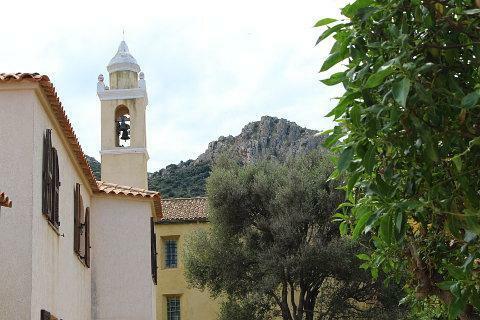 Algajola is in the Balagne area of Corsica and from here you can drive into the hills and explore the charming traditional villages whilst surrounded by the scent of the maquis - the fragrant plants and trees which cover the hills over much of Corsica. Sant Antonino is one of the prettiest of these and Lumio is not far from Algajola. 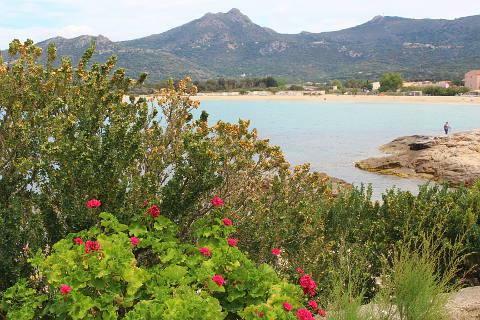 L'ile Rousse with its red rocky coastline and views over two small islands is a short drive away. 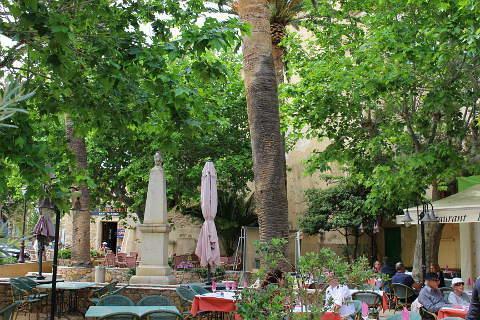 Calvi is a large resort with a pleasant harbour and an old citadel.